Today is my birthday! I’m 9 which is pretty old for a great dane. We celebrated by playing in the pool, eating lots of carrots and of course, birthday cake! Don’t worry – we all got our own piece after that, so technically I got two! Birthdays rock. Happy Birthday Mowgli!!!! The cake looks goooooooood! Happy birthday, Mowgli! 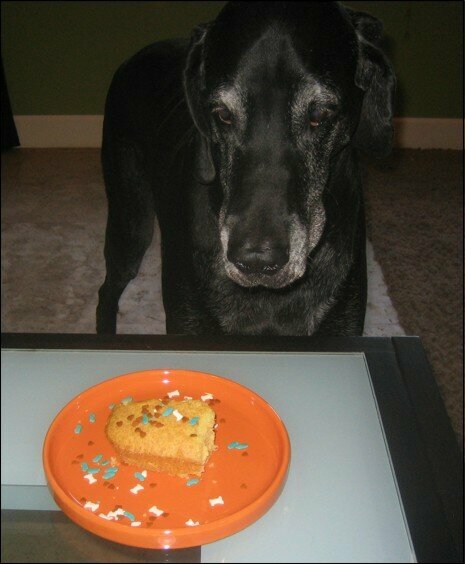 Good work getting 2 pieces of cake – you sure are a smart pup! My blog is a mess. I love getting new toys. Galloway on I love getting new toys. Carol Giambri on Goodbye Mowgli. Copyright © 2019 DogsWhoTwitter.com · All rights reserved.